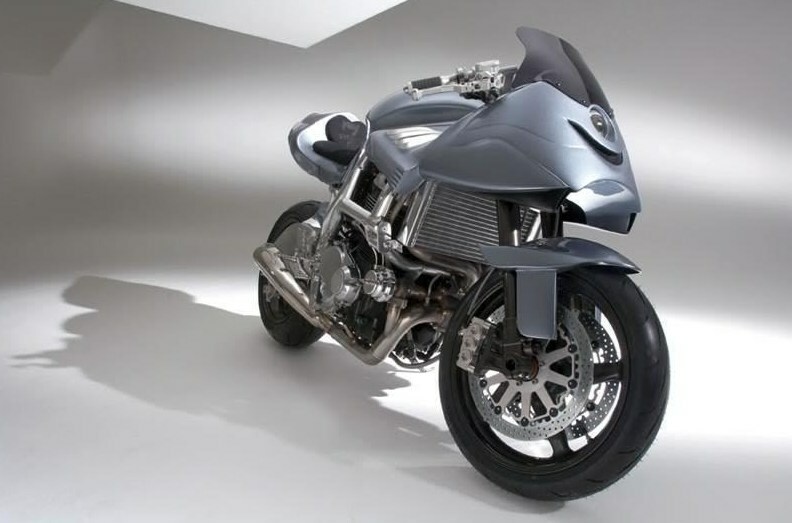 British businessman Andrew Morris’ vision was to create the ultimate road-going motorbike and he also thought of paying tribute to his boyhood hero by creating the ultimate road bike. So what do we have here now? This is the ICON SHEENE, the self professed ‘World’s Most Costly World’s Most Powerful Production motorcycle’. Although the claim is open to debate, the word ‘production’ does come into plat here. 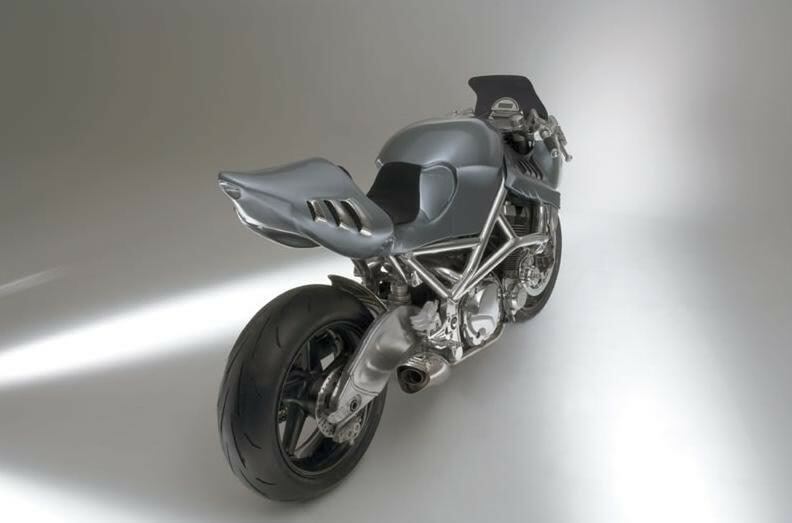 Only 52 of these motorcycles will be built and of course it can be customized, but it will be a ‘production’ bike. 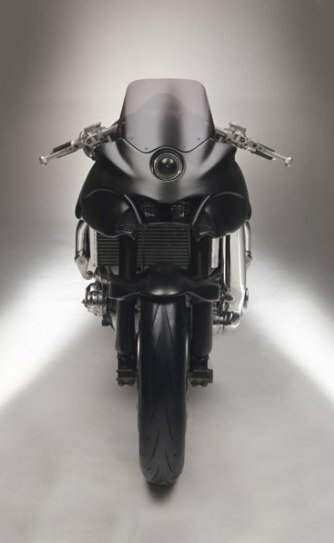 But before starting the debate and finalizing the verdict, let’s get to know the beauty of a bike. 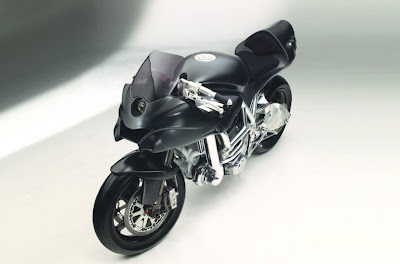 This particular model from the ICON SHEENE brand is referred as the Sheene Ultrabike. Of course, you know the bike has been named after the legendary Barry Sheene and you also probably know that the bike was officially debuted at the Goodwood Festival of Speed this summer (2nd to 4th July, 2010). The bike was introduced by Freddie, Barry’s son and he himself took part in the hill climb event. 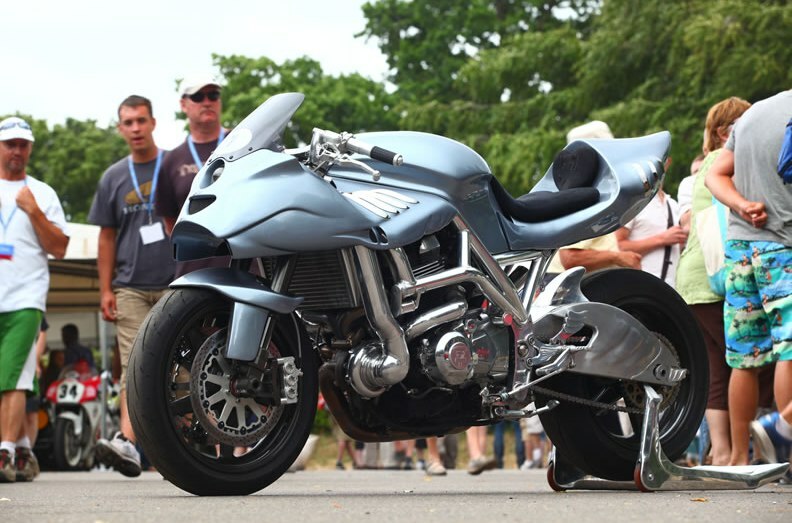 And as expected, the 200mph, 250+BHP bike took centre stage at the event. This turbo charged monster-hiding-in-a-catwalk-model-dress is priced at £107,000 (€ 120,000 / $170,000) onwards. 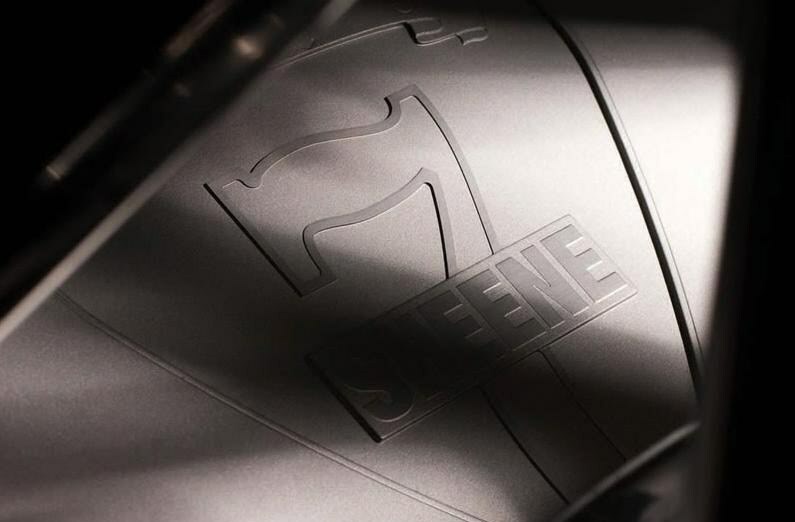 The Sheene family has provided their full support to the project and the52 bikes will also have Stephanie’s (Barry’s wife) signature on the tank along with her late great husband. Stephanie says “The ICON SHEENE captures everything he stood for and I take great comfort in knowing that it will be a unique tribute to an extraordinary man. 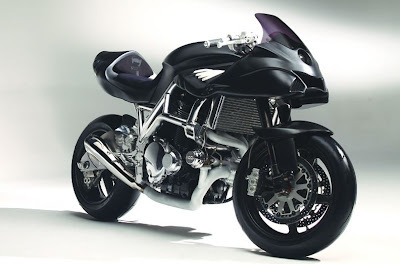 To have a motorcycle designed, built and dedicated to the memory of Barry is the ultimate accolade. I know he would have had fun being involved with this project whilst at the same time putting his own special stamp of approval on the detail. 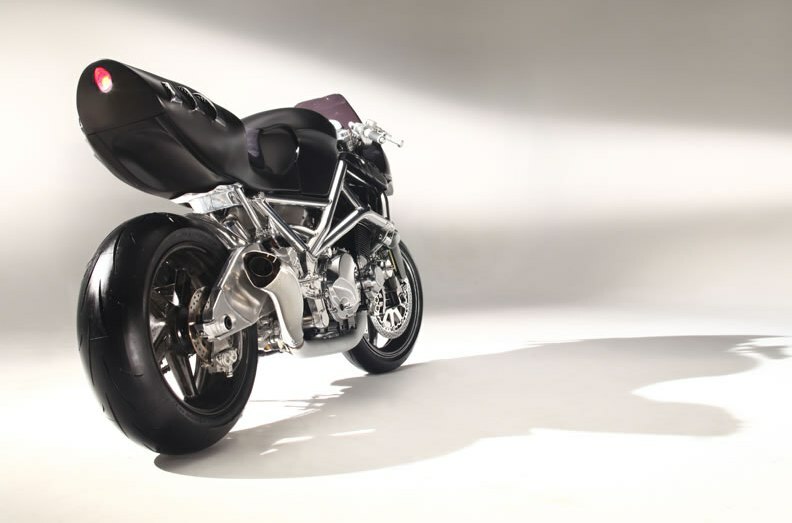 If you are lucky enough to become an owner of one of these rare motorcycles, remember: life is for living and bikes are for riding.” The brain behind the idea of paying tribute to the legend is Mr. Andrew Morris. The firm is of course located at Nottingham, UK, Barry’s country. The Ultrabike is not just a collaboration of Mr. Morris with the Sheene family but many engineers, mechanics and friends of Barry have also contributed their expertise to the motorcycle. Another name that needs a mention for building up this stunner is Mr. Steve Parrish, Barry’s ex team mate and long time friend. Josh Niclolas is the project manager for the Ultrabike. 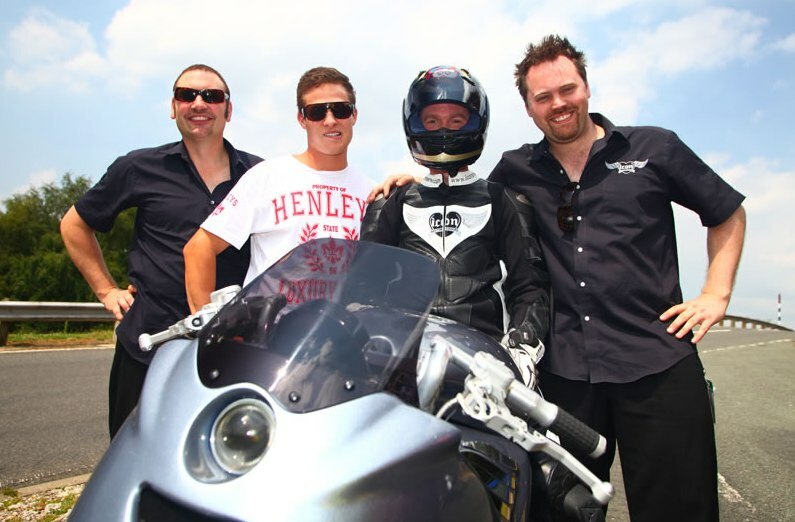 Andrew Morris, founder of Icon Motorcycles says, “Barry Sheene was a hero – of mine and everyone else. Supremely talented on a high speed race bike, courageous, determined, magical to watch in action, he was also irrepressibly cheeky, funny and seemed never without a smile. He did things his own way, and always with passion and spirit. When I decided to create the world’s ultimate road bike, the image of Barry and all he represents was foremost in my mind; I believe the Icon Sheene is a fitting tribute to this remarkable man, and I’m very fortunate to have his family’s backing for the project. And because Barry was so extraordinary, I knew my bike had to be, too. So it’s handmade. In Britain. It features extreme levels of power and performance. And it’s massively entertaining to ride hard. And in creating it I’ve felt proud and humble to work alongside many of the talented individuals and companies who helped Barry to win two World Championships. 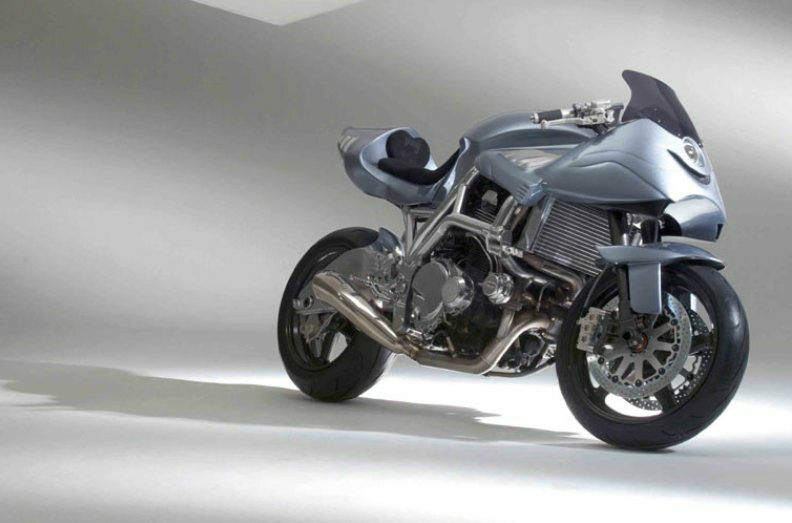 This bike has been designed for easy handling in a manner that you won’t feel out of place either in a road or on a track. Bu the looks and images of the riders, the bike seems more road focused. 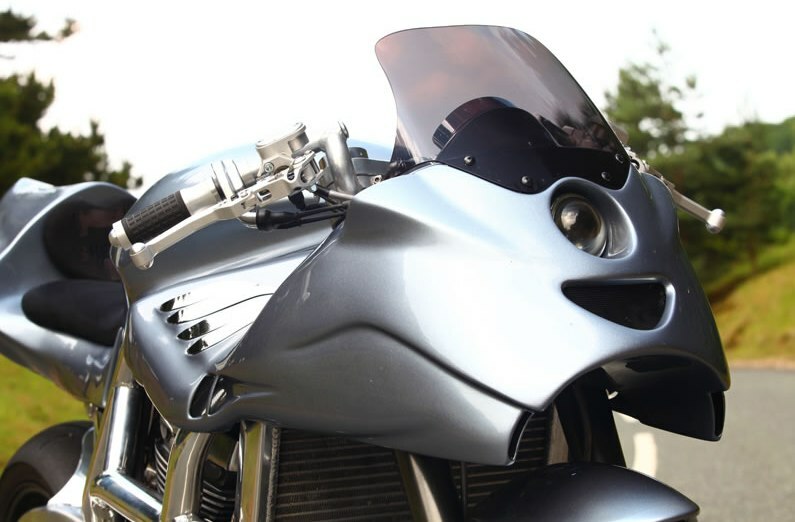 Steve Parrish has been the main test rider for the Ultrabike and he said that the bike has quite a lot going for it even if you consider that this is a 200 mph motorcycle. I have very little doubts that on the road this bike will perform exceptionally well, but such a powerful bike, it would be really interesting to find its mettle on the track. So how does it work on the track? Well, motorcycle’s premier magazine MCN tested the motorcycle at Silverstone but mentioned that there is still plenty of development work to be done. 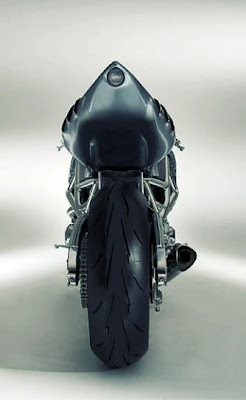 Michael Neeves, one of the world’s most respected bike critics of this generation mentioned that the bike is still not meant for track racing the powerband was found to be narrow and the fact that the bike did weigh a lot didn’t help for the tracks either. The bike took two years in the making and Mr. Morris says that the bike Neeves rode was the first of the 52 that are to be produced. Things will only start getting better hence forth. And anyway, the foremost idea was to make a road bike which it probably has met. Steve Parrish talks about his buddy and the motorcycle, saying “I am so very pleased the Icon Sheene has been sculptured, a living, shrieking, whirlwind of a tribute to a great man: for me, Barry was like having a father, brother and mate, all wrapped in one amazing person. Now 52 lucky people can revel in a legacy that will remind them of how Barry Sheene inspired the whole motorcycle industry around the world. Barry would have been very proud to see this astonishing piece of British engineering excellence, unique in every way, just as he was, being owned and ridden fast by like-minded people. 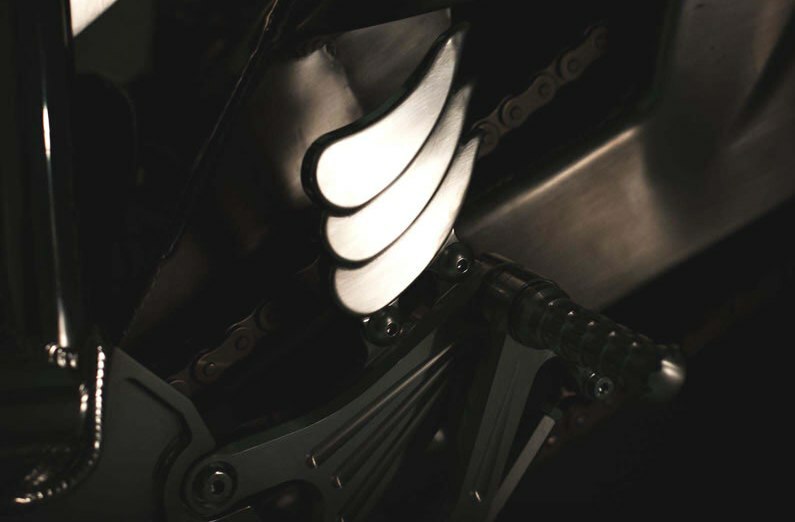 Now getting on to as what could possibly make the claim to be the ‘world’s most powerful production motorcycle’? For starters, the engine is outsourced from the SUZUKI GSK1400. Well, half the battle for the crown already goes to ICON SHEENE. 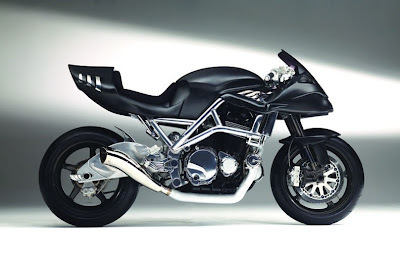 Why the GSX 1400? Well, history will tell you that Barry won his two 500cc World Championship titles on Suzuki. 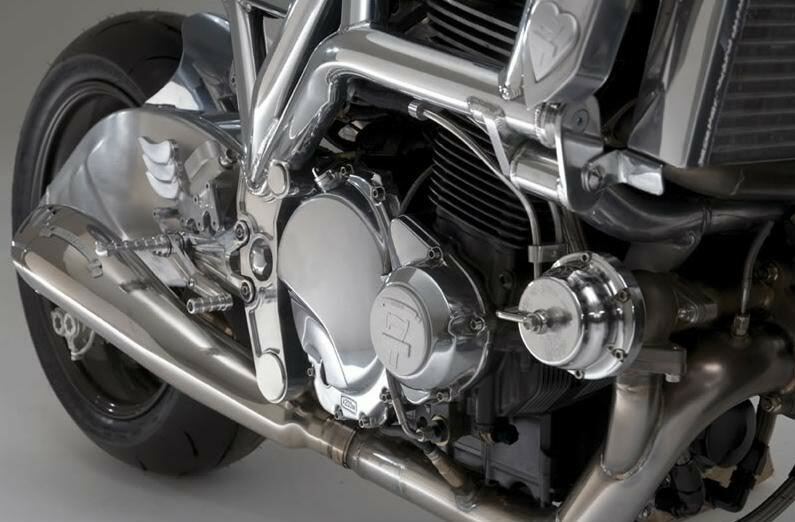 The GSX 1400 gets a boost turbocharging the engine to belt out over 250 BHP of power. But how do you justify the high tag price. Let’s analyze. The engine, beside being hand built, is turbocharged by Garrett. 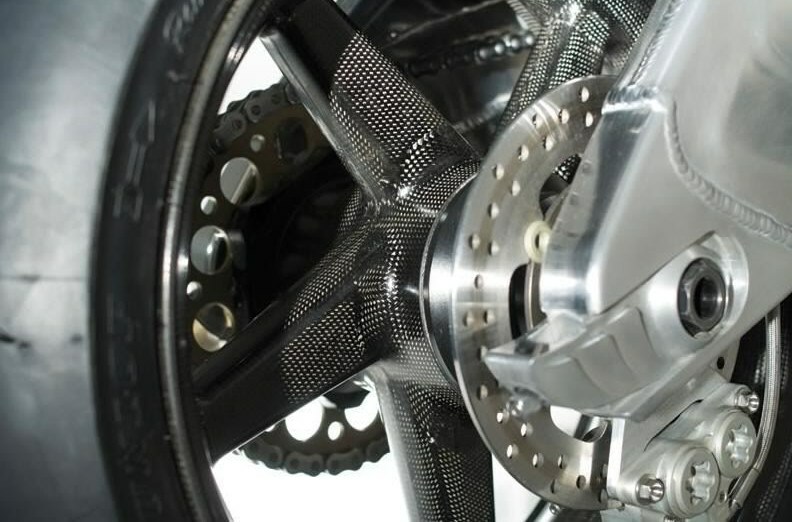 Garett is a brand which leads in turbocharging technologies. Its piostons are made by CP Carrillo, a brand with almost 50 years of experience in making pistons and rods. Pistons are from the house of Wiseco, a brand which has become synonymous with pistons, thanks to their 70 years of experience. Spondon Engineering makes some of the world’s best frame kits and Andrew found them to be a perfect partner since they are also from the same city. The frame used for the Ultrabike is an all-aluminum, purpose-built tubular frame, with an aluminum swingarm made by FTR Moto and the rear suspension and forks coming from the house of the Italian firm of Bitubo. Everything going in the bike is world class. 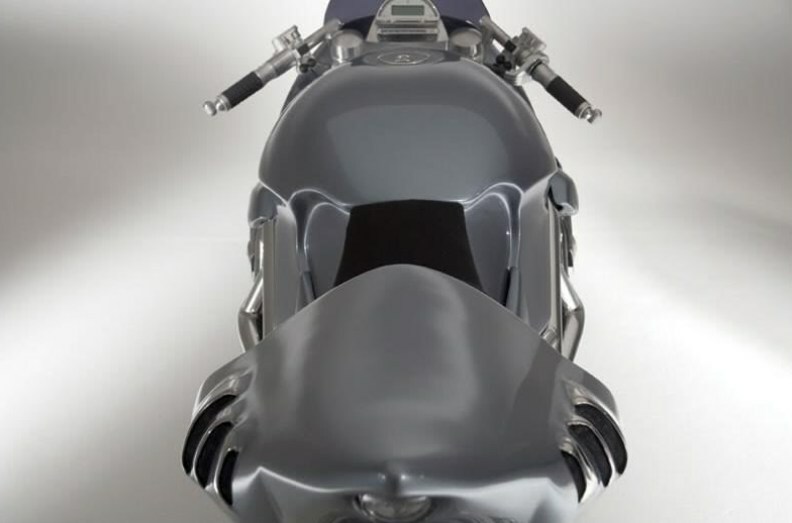 It has hand made carbon fibre bodywork, a hand made aluminum tank, hand-crafted aluminum oil coolers, and a handmade stainless exhaust. It has carbon-fiber race wheels, ISR calipers, discs and levers, Bosch Motronic engine management system, digital instrumentation, keyless starting and F1-spec wiring. 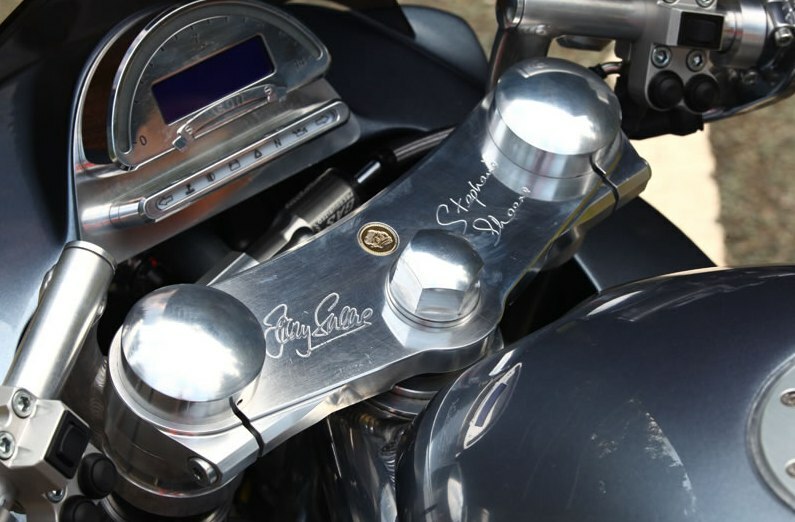 If you still think the price tag is little bit higher, well how about that each motorcycle will flaunt etched and engraved plaques and yokes, a hand-painted 1940s style pin-up girl and will bear Sheene’s lucky ‘7’ embroidered to it. 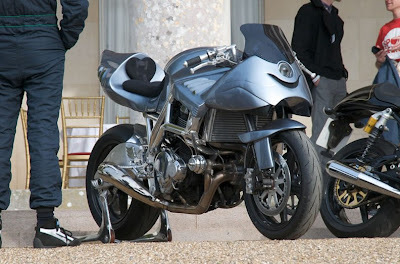 The design is just unique and there can be just no mistaking the bike for any other. Well, it is just not possible. Plus you know that the engine will make 250bhp with 133lb/ft is claimed at the rear wheel, all in all this is as much a show as much it has the go. 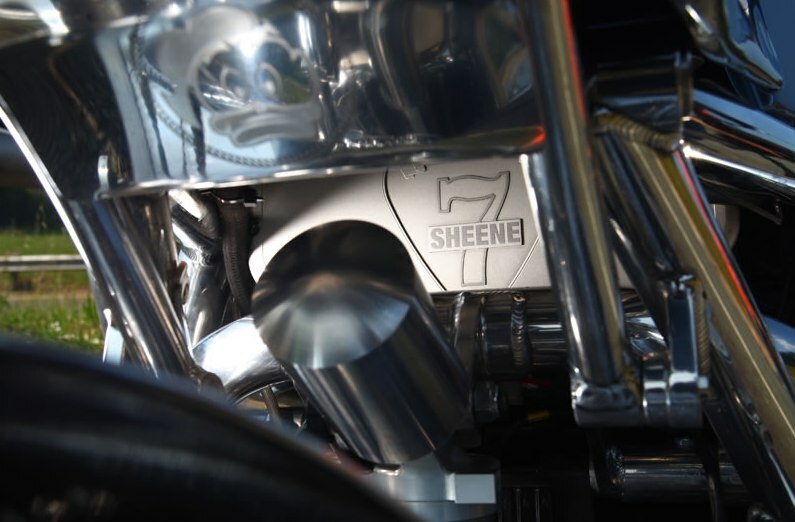 Unless we have a proper test, the crown for the ‘world’s most powerful production motorcycle’ may be debatable, but you just can’t deny the ICON SHEENE for the run towards the crown. Why only 52 will be built? Actually Barry lived for only 52 years, from 1950 to 2003 when he lost the battle to cancer. 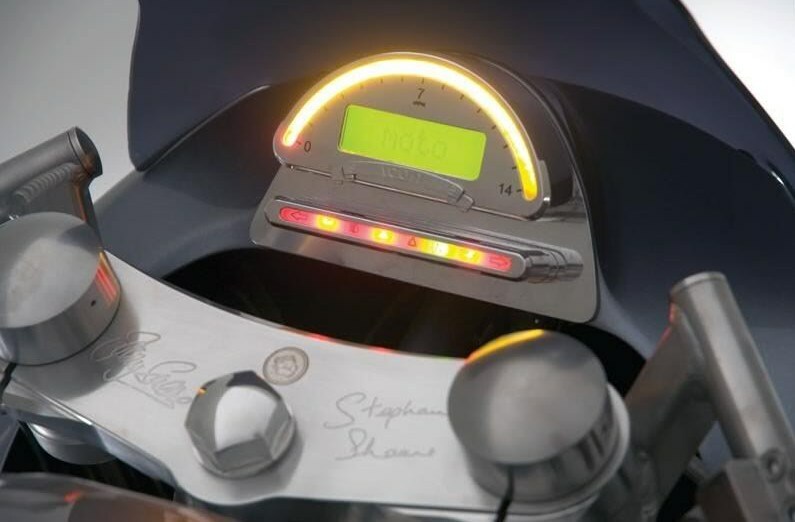 Another nice feature the ICON SHEENEs will have is that each 52 bikes will have one card from the 52 deck of playing cards that will be hand-painted by Mike Fairholme, the artist who decorated Sheene’s helmets. 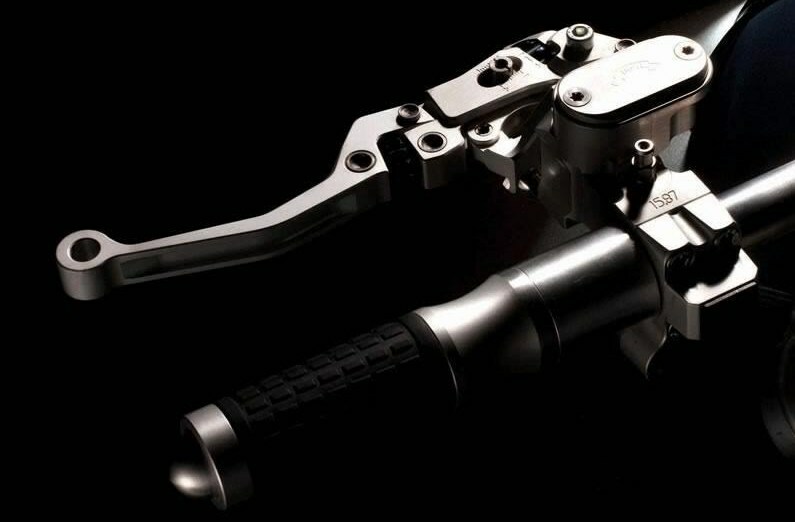 As one can expect, each of the 52 bikes will be hand-built and tailored to the customer specification. It actually is very true to the character of Barry. Barry was considered as the wild one who was equally sweet yet lived his life loud and beautiful. Look at the bike, you will see all of Barry’s characters. This bike is not anyway trying to hide its image, it is vibrant and it is refreshing. It will stand out no matter where you place it. This bike will attract crowds for no reason whatsoever just like Barry for whatever he did. Barry always did things his own way and that was his unique character and just like Barry, the Ultrabike is just unique given the way it looks. It is a unique tribute to a unique icon. ICON SHEENE is currently taking orders and you can place yours too to become part of a motorcycle legacy like no other.